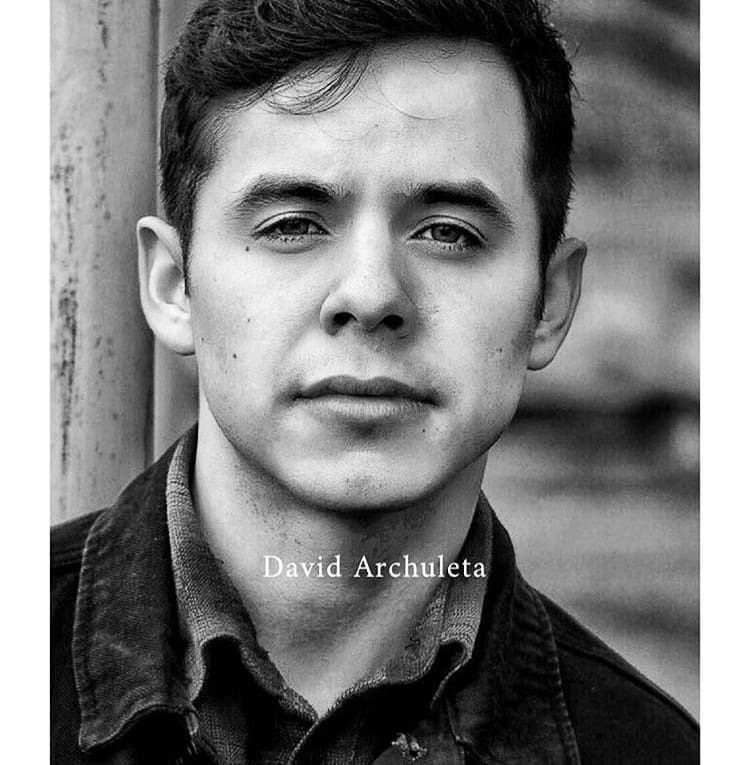 This entry was posted on Wednesday, January 6, 2016 at 8:06 PM	and is filed under @DavidArchie, American Idol, David Archuleta, Editorial, music, Music industry changes, Season 7, The Voice. 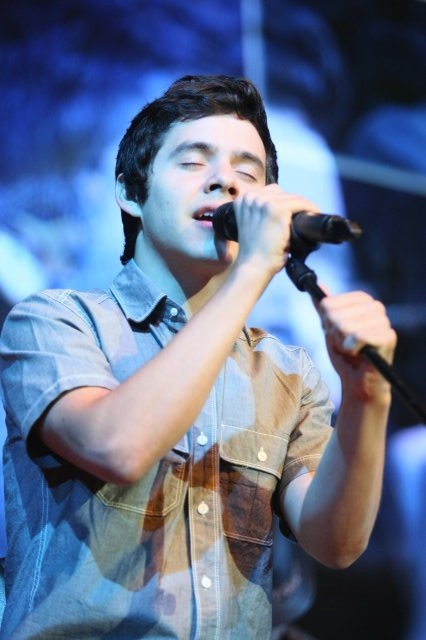 Tagged: American Idol, David Archuleta rocks! 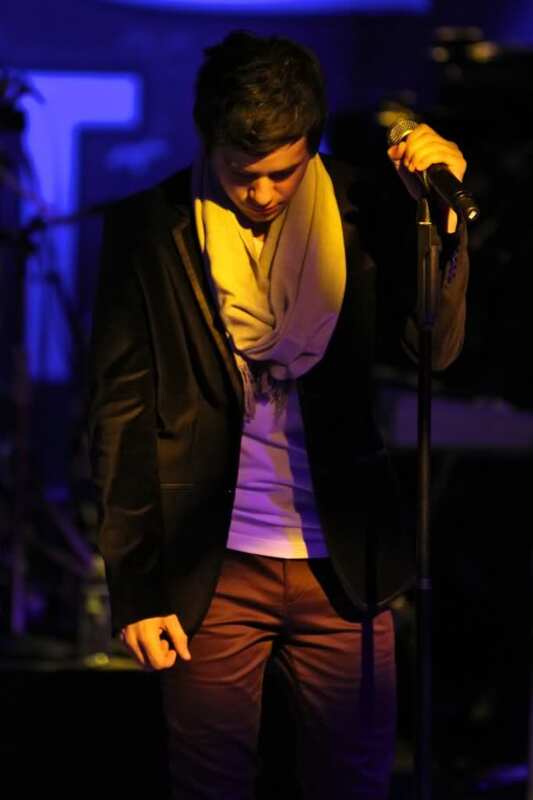 :), feeling his voice, the Voice. You can follow any responses to this entry through the RSS 2.0 feed. You can leave a response, or trackback from your own site. Bebe, thank you so much for posting this!! I found myself thinking about the end of an era with Idol earlier this afternoon…and it is kind of bittersweet. Very mixed feelings for me as the show was a part of my tween and teenage years. My Mom and I were avid fans of the show from the very first season but as you said, there were a lot of reasons, too, that also led us to stop watching. Season 8 was the last season I cared for any contestant or watched in its entirety while my Mom tried to watch and was finished after season 12 (I confess to still poking in when she still watched and reading about what was going on with the show online haha XP). I’m choosing not to watch tonight, and the season, for various reasons. 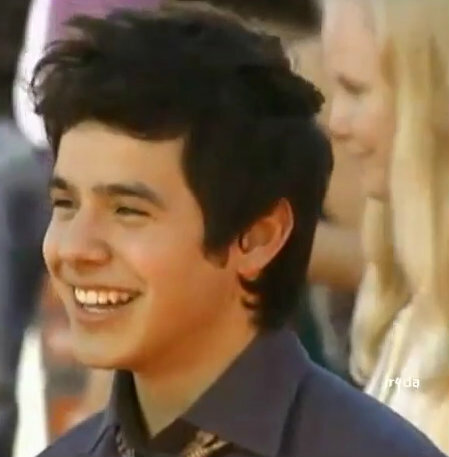 David makes an appearance then I will tune in, but I’m going to make sure I watch the finale at least. For those watching the final season, enjoy it!! Wonder if he’ll be watching *shrugs*. If anything…David’s appearance…was just in time. 🙂 Forever thankful to God for that! Have a wonderful evening everyone and if it’s chilly tonight, stay warm!! Bebe, my thoughts exactly! I had never watch AI before season 7. 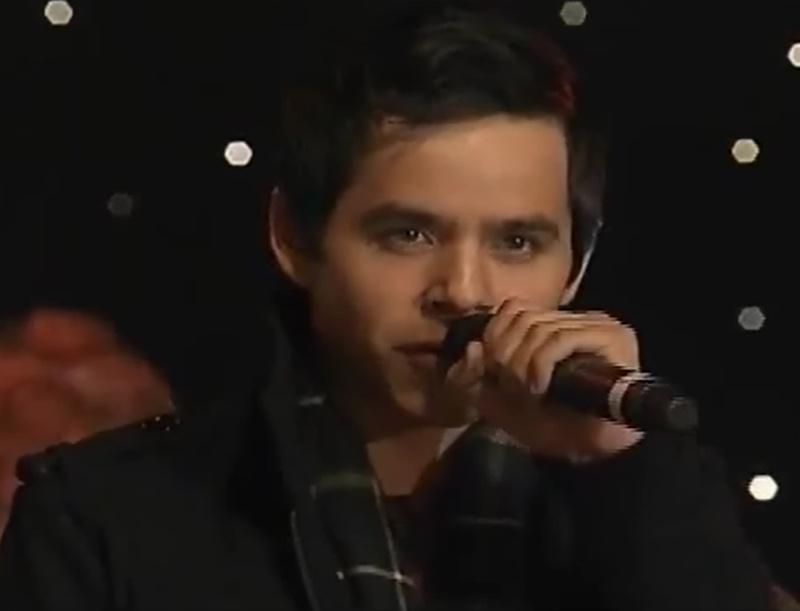 I was coerced into watching it because, “you really need to see David Archuleta, Mom. He is from Utah and he’s sooo good” … says my daughter. 🙂 I voted my fingers off that season! 🙂 I haven’t watched, other than a week here or there, since then. I just couldn’t deal with the level that it sank to. (jmho) It has launched a lot of careers, and I won’t discount that. I will be forever grateful for a young, shy, teenage boy from Utah that gave it a shot and made it work for himself. 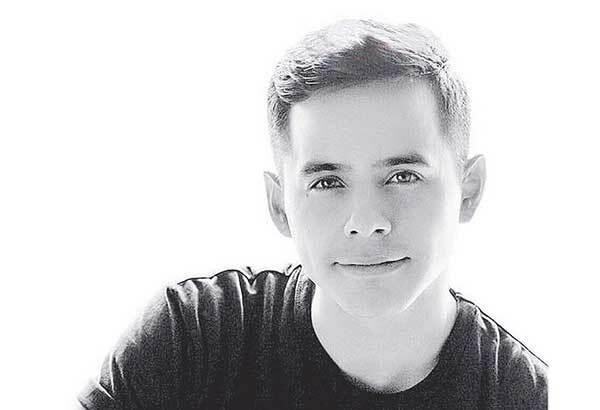 “…but most of all it gave us David Archuleta, The Voice, who changed our lives in more ways that we can count on our fingers. And for this I will be forever thankful.” Me. Too! In case Bluesky missed this from last thread. @erin4david Yes, your bro Dave, it is definitely me. Check out YT, I'm doing a video blog during this final idol season. Will be fun! 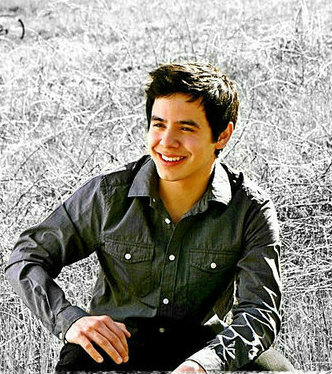 “but most of all it gave us David Archuleta, The Voice, who changed our lives in more ways that we can count on our fingers. And for this I will be forever thankful.” exactly! AMEN to that! There really wasn’t any talent show like it,was a brilliant idea to bring it to the US.and America ate it up! yep, it started our journey,and what a journey. Thank you Bebe. I’m grateful that AI exists because David decided to audition to be discovered but truth be told it left a real sour taste in my mouth. I tried watching, I did but when they cropped the heck out of him when they showed winners but left Adam intact when showing Kris…click. 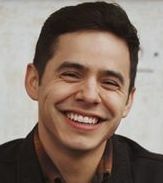 Yes, season 7 and David was the best thing that came from AI and I hope that he makes an appearance since he is one of the main parts of the show. 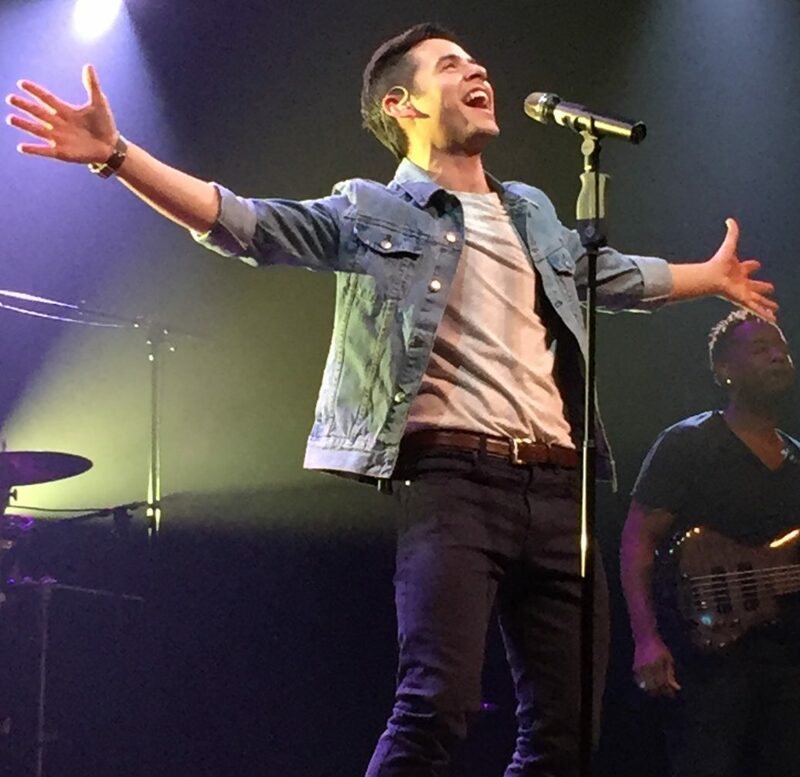 No one will ever measure up to his voice….ever! 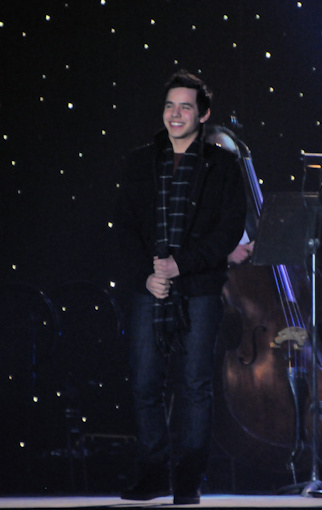 There is only one David Archuleta and I’m so glad that he has made a good difference in my life. Jeff’s video is interesting…not sure what he will be doing exactly…. If you read between the lines, Brooke might be on Idol this season. I do know from her Instagram’s a few weeks ago that she was in LA for a brief time. Season 7 was the only one I watched. I am not sure whether this last one is being shown where I am. I don’t watch TV anymore and don’t own a TV set. #6 – very interesting. He has a good point about creating “moments” in a song. I think David is a master at doing that. Can you count the times you see David? How do you watch the video? It says it’s private. Gemzone I double clicked it in the center and it played. Go to her page on IG and try playing from there? “https://www.instagram.com/p/BAQCOUmHEr-/?taken-by=karisellards” Copy the link but leave off the quotes and paste into you browser. Abrra thanks but I meant the 20 minute video in the post. Sorry for the confusion. I have removed the private video from the post. Something may have happened to cause them to take it off public. That was crazy! 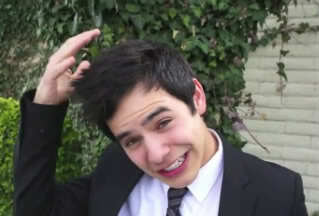 But lots of David!!!! About 35? I thought it was interesting, Jeff seemed as pleasant as he always did in person. Spoke to him on several occasions and never seemed like what the media portrayed. But darn I feel AI is still trying to prove that Cook was it, that they didn’t goof. When we all know it was David and I have the numbers in many areas to prove it. sheesh. Remember this? It killed me. Sidenote: Most of David’s AI videos with millions of views somehow are gone. 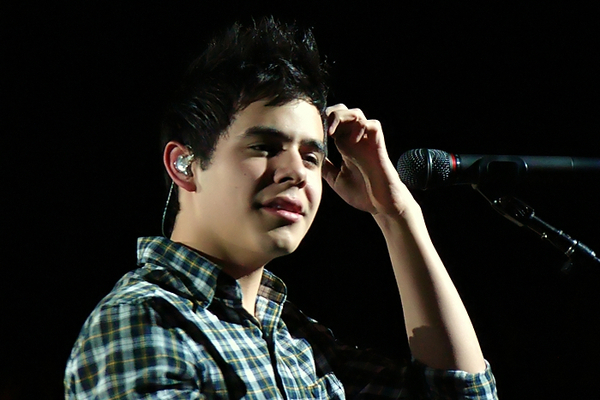 Seen a lot of David in Kari’s video…wonder if it has a meaning….like Kari does a lot! hope hope Still hope he makes a live appearance on AI! Can’t figure out why his high count videos always disappear…it’s like he can’t get a break!! 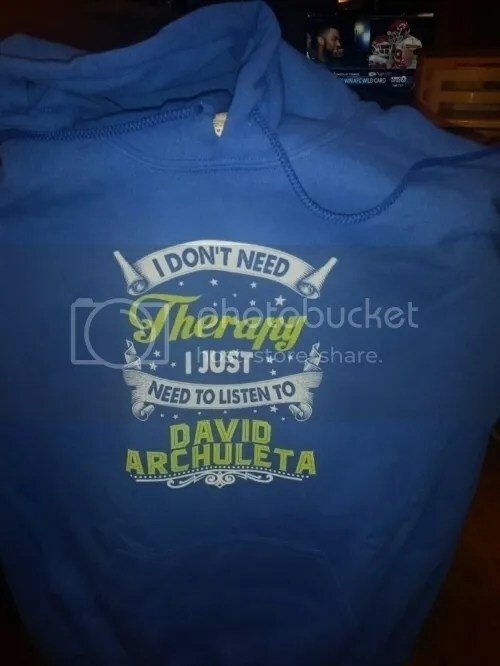 I have all of David’s AI vids in the rotation in Unplugged. They never get old. Alex Preston (top 3 AI season 13) tweeted this link to something he wrote from his heart on his Facebook page.. It speaks for itself. 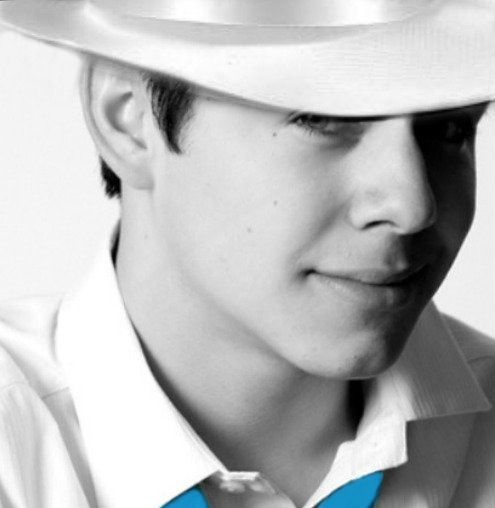 I have been a fan of his since he appeared on AI because he was so unique, shy and wrote a few of his own songs that he sang on the show. I haven’t watched AI 15 yet. I have it on DVR so I can skip past the ads 😉 I have watched every season of AI and prefer it over The Voice. I think it’s because the contestants are a bit more “raw” and you can see them improve so dramatically over the weeks. I am not sure I will watch the “expert” reviews. #22 Christmas is over but I still have that song playing in a loop in my head. 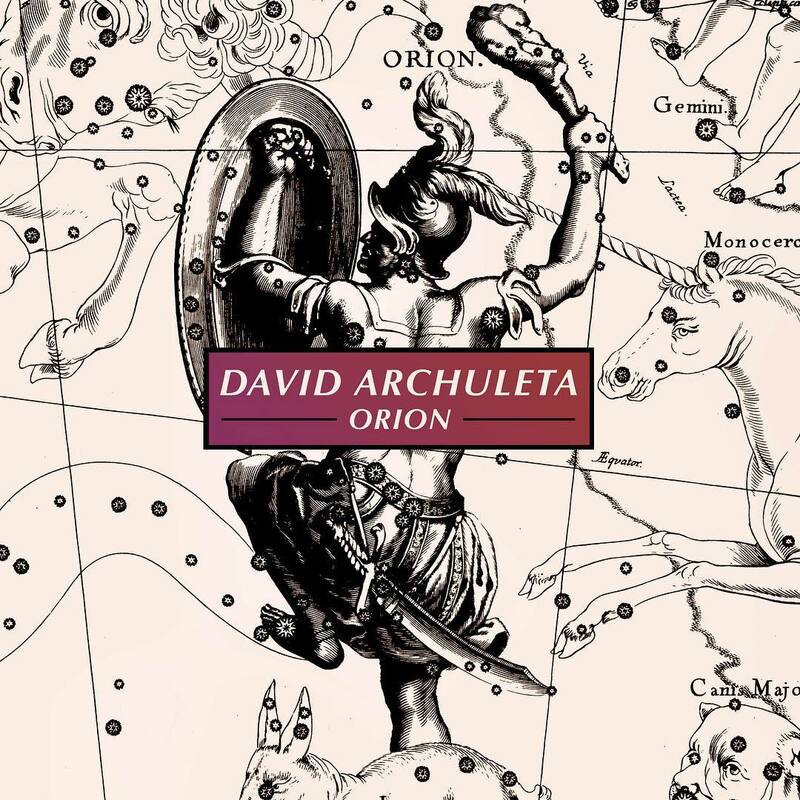 The David version, of course. Btw, has he abandoned Nashville and moved back to Utah? 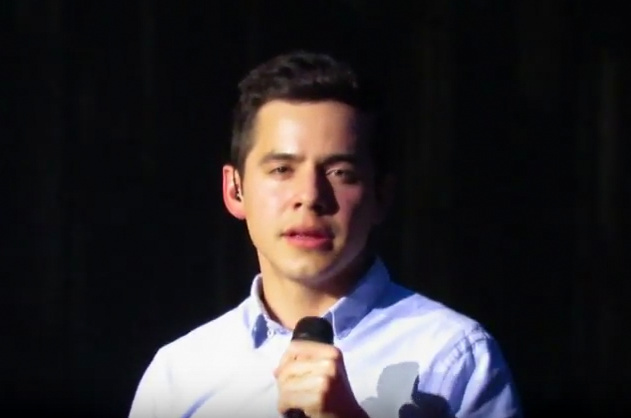 I think David has had so many obligations back in Utah with the holidays and concert dates that he has just stayed rather than hop back and forth to Nashville. It really doesn’t matter where he is because his business can be done via computer. Looks like the outfit from the flower shop. Before Fen fan says it Its not the same sweater in #29 and he added a hoodie. I have you all figured out now Fenfan 🙂 hehe Cute emogies. I just finished watching both nights of AI15. I found the production most entertaining. The auditions moved fast and the background stories were mostly engaging. I too found the “baby” appearances a distraction, as the judges mentioned. The contestants song choices represented a good mix of genres and they sang well for the most part. The judges were great, especially Harry Connick, Jr. He knows the technical side of music and acknowledges when a singer executes a song well. The former winners added a bit of spice to the show. It was nice seeing them help out the nervous contestants with advice about how to audition. I will savor ever week til the finale. I have watched from the beginning and AI is one of my favorite shows. 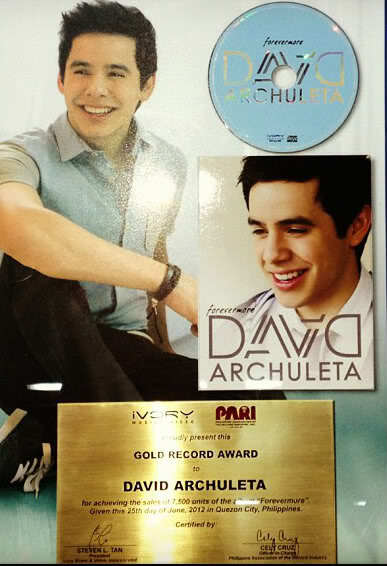 The best part is getting to know about David and his music. Oh my, Abrra!! 😀 😀 HIlarious puzzle!! Thanks!!! Well, since I don’t watch AI and haven’t since season 7 (only when David made an appearance) I watched Jeffs reviews. So far some interesting stuff some not. David mentions are nice, nothing personal or such. 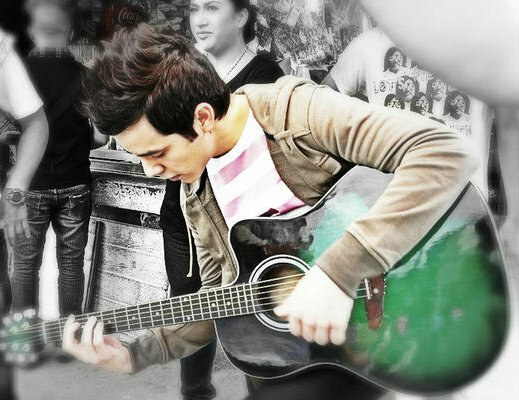 His passion for music comes through. With that said I do find it odd. Zero from him and now this. But maybe the last year and all the nostalgia going around had something to do with it. This is an IG account I started following because Marlie posted some clips to Facebook. They give you the recipe in about 15 sec as you watch. Blueberry Muffin In A Mug Ingredients: – 4 tbsp flour – 2 tbsp granulated sugar – ⅛ tsp baking powder (a ½ of a ¼ tsp) – 1/16 tsp baking soda (a ¼ of a ¼ tsp) – 3 tbsp milk – 1 tbsp vegetable oil – 10 fresh blueberries Here's how you make these: 1) Mix everything listed in muffin ingredients except blueberries into a microwave safe mug with a small whisk. Drop blueberries in, spreading them out. 2) Microwave for one minute or until firm in the center of the cake (timing is based on a 1200W microwave). Slow Cooker Fajitas RECIPE: Serves 10 Ingredients: – 1 Red Bell Pepper / sliced – 1 Yellow Bell Pepper / sliced – 1 Green Bell Pepper / sliced – 1 Yellow Onion / sliced – 2 lbs Boneless Skinless Chicken Breasts / cut in half – 2 Tbsp. Taco Seasoning* – 4 Cloves Garlic / diced – 1 Lime – 1 10 oz Can Diced Tomatoes With Green Chiles / drained For serving: (optional) – Flour Tortillas – Cheese – Sour Cream – Guacamole *To make your own Taco Seasoning at home: (or use pre-made taco seasoning mix) – 1 Tbsp. Chili Powder – 1/2 tsp Garlic Powder – 1/2 tsp Onion Powder – 1/4 tsp Cayenne Pepper – 1/3 tsp Oregano – 1/2 tsp Paprika – 1 1/2 tsp Ground Cumin – 1 tsp Salt – 1 tsp Black Pepper – 1 tsp Corn Starch Add half of the sliced peppers and onions to your slow cooker. Next, layer the chicken and coat all sides with taco seasoning. Top with garlic, tomatoes (be sure to drain) and the juice from one lime. Add the remaining peppers and onions, cover, and cook on HIGH for 3-4 hours. Remove chicken and cut/shred into slices (chicken left longer will tend to shred more – cook to your preference). Return the sliced chicken to the slow cooker to marinate in the juices for about 10 more minutes (on LOW) until ready to serve. If you find that there is too much liquid, you can remove till there is a desired amount before serving. Assemble Fajitas to your liking – we recommend topping with cheese, sour cream, and guacamole! Enjoy! Thanks, Dja for posting Jeff’s videos. I wondered where they were so I could see them. I agree with you as some of it is interesting and some isn’t. They were a lot longer than I thought they would be, but I agreed with a lot of what he said about the contestants. Actually, back in the Simon days, I agreed a lot with him but it was his rude way that I didn’t like. I guess he is just trying out the Youtube thing like a lot of others are now and starting out with AI in it’s last season. Abs, those recipes look good! Some of those come up on FB and they are really interesting to watch. 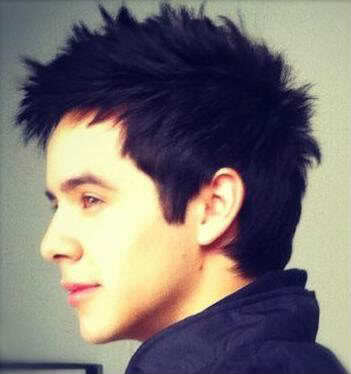 Hoping for some good David news this week! Is the show that’s sold out the one in Denver? So glad to see that! Jans… the sold out show is one in a town in south central Utah…. there are some other performers with David. I think Dayzee is going. 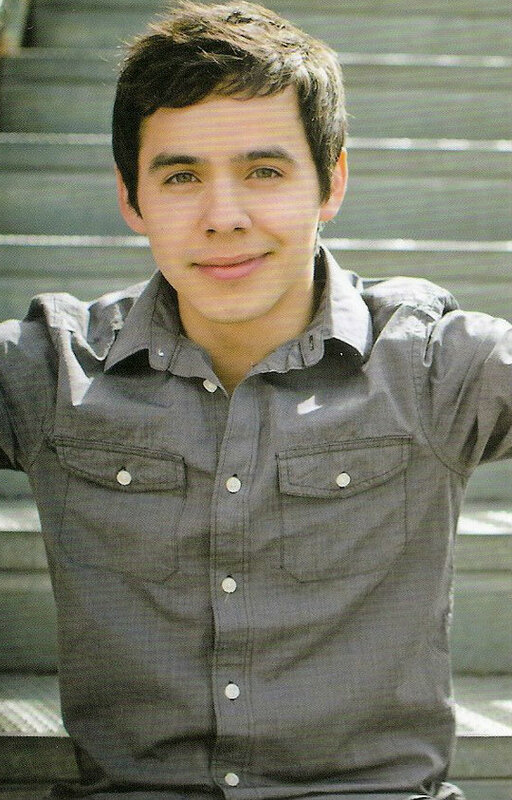 Any sightings of Mr Archuleta anywhere? Does anyone hear any music???? I checked for tickets in Denver – there are lots left. But Denver is just a tad far for me. Thanks, Tawna. Guess I haven’t heard of that one…imagine that! 🙂 And of course Dayzee would be going…lol.. 🙂 .I would be too if I lived out there. 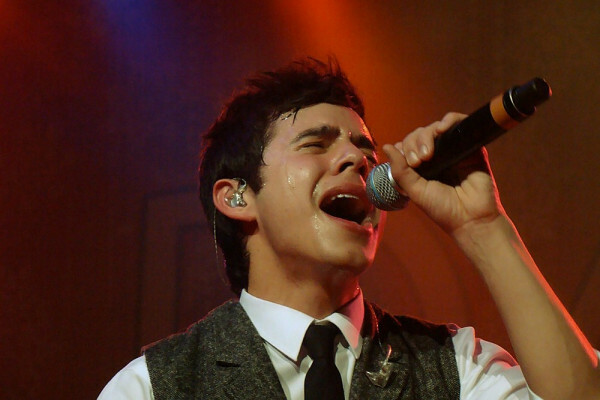 It would have to be a super good reason to miss a David Archuleta concert. Hoping he migrates to the midwest sometime soon! I would go to Denver, but it’s about 8 hrs away and I’ve already been in Utah for 2 weeks! That trip was awesome! 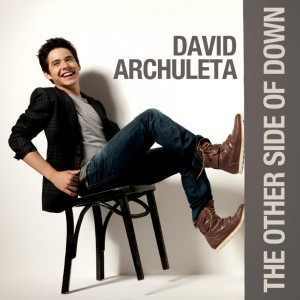 ♥ I do hope that Denver sells out…don’t like to see empty seats at a DA concert! Fenfan, where do you live? Jans, I hope Denver comes together. I just think that there has to be something in the works soon to have booked such a large venue. Tawna, Have they announced the other performers? Make a Wish posted some pictures. Nice that he takes the time to do these things. Celebrating week two of AI by watching the best singer ever to be on that show. Boy was he young. I’m still amazed and blown away. With special guest Hillary Weeks and John Bytheway. This is sure to be a enteraining night full of great music and comedy. —Hillary Weeks is a singer/songwriter… http://hilaryweeks.com/ . They are both LDS (in case anyone wonders 🙂 ). I went back and YouTubed this season’s AI auditions…. it reminded me of why I don’t watch them. I just can’t like the audition weeks. Maybe when the real thing happens I’ll watch this final season some…. just because it could have some new twists and turns to it. I’m still trying to figure out Jeff’s deal with his YouTube ‘re-cap and critique’. The incredible power of a soul with no agenda other than connecting with other souls. Simply devastating in both its simplicity and its reach. The first song I ever heard him sing. On You Tube. Unbelieving and unprepared for the effect it would have on me. I had to change my weekly schedule and become acquainted with what AI even was… and learn how to vote by phone. Why? My family (and heart) had just been increased by one. And DA became a permanent member. How about a mid week puzzle to pass the time? Courtesy of AI7 here is an iconic pose that fans all remember well. #44 Jans, I live in Singapore, about 19 to 23 hours from Denver as the plane flies! Dja, you might have something there about Denver…hope so! Love all David’s shoes…as I am a shoe person myself. 🙂 Sweet David, making a girls wish come true! 46…perfect song for right now…. 51…Abs, perfect puzzle for now….love it! 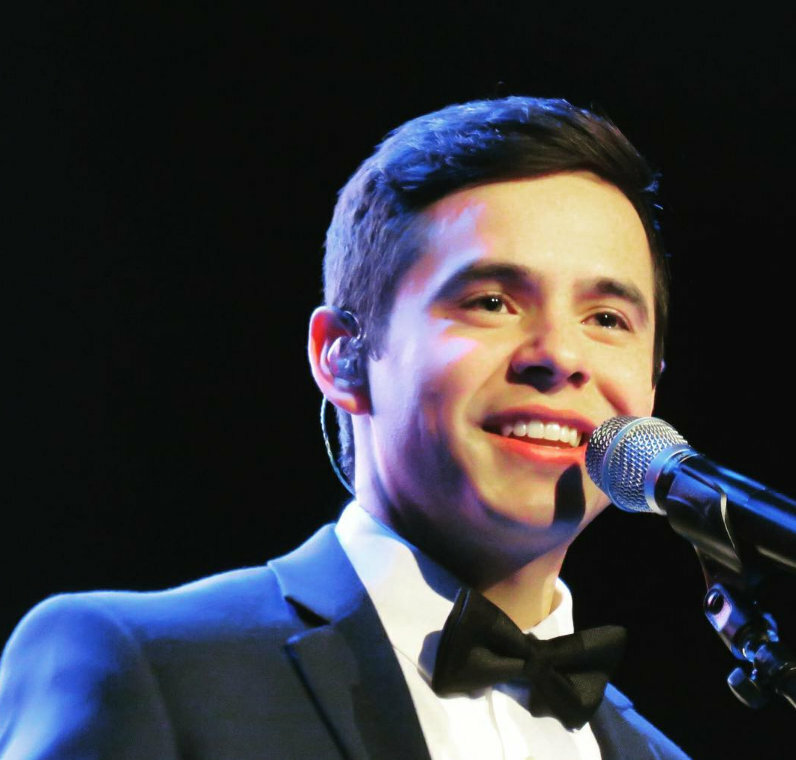 David has added a concert in Arizona! Brooke White has lived in L.A. (the Valley) for a long time, though she’s from Arizona originally. We have an acquaintance who directed her first music video before AI. 56…Hip, hip, hooray!!!!!!!!!!!!!!!!!!!!!!!!!!!!!!!! Love it!!!!!!!!!!!!!!!!!!!!!!!!!!!!!!!!!!!!!!!!!! Seems so quiet around here. I am not watching AI. Has anything been happening? Just so you know… I love all the side pictures. No David on AI I read but lotsa a Tori…whatever. No explanation needed.Requires many views. #64 That video needs to be longer. January is a down month in the entertainment industry straight from David. Toward the end of this vlog. Celebrating David’s upcoming show in Arizona! A memory of his last visit. Confession: I spent the afternoon doing some of the puzzles that I had skipped 😉 Sort of an abyss of another sort. I watched The Martian while playing with puzzles. I love to hear this speech every year. Been listening to Jeff on his videos. He has a good insight on the singers and AI. Hola! I agree that this is the best interpretation of The Prayer. Listen to it every day. Gandalf /ˈɡændɑːlf/ is a fictional character and one of the main protagonists in J. R. R. Tolkien’s novels The Hobbit and The Lord of the Rings. He is a wizard, member of the Istari order, as well as leader of the Fellowship of the Ring and the army of the West. In The Lord of the Rings, he is initially known as Gandalf the Grey, but returns from death as Gandalf the White. I love that quote from Tolkien. How very true it is. I am grateful for the light in others that encourages me and helps to light my path. I wanted to let the Masterclass Lady know about Leo-Z and that he is the arranger of “The Prayer” as it is done by DA and NP. so I left a note on her blog. But to do that, I had to (darn!) visit Nathan’s site to be certain that my info was correct. Do we have some of the same to look forward to with DA? Woooooo! Wouldn’t that be amazing? I can’t really see it, I see DA as more soulful. But still…. I guess we never know what will happen. I’m still listening to The Prayer. It’s on repeat as I sit in the morning doing my hair and make up. 🙂 Great way to start the day! Love the Gandalf quote. I agree. It’s the love, kindness. and generosity we show each other that makes this world a better place. Who says one person can’t make a difference? Thanks for posting the video of Nathan. It was good. I can see DA doing it with a soulful twist. I’m anxious to see what his new sound is and how his new experiences will influence his music. Thanks for the post Bebe! I am watching American Idol’s final season. There are a few I’ve really liked but no one yet that tempts me to vote. We’ll see how it goes as the season progresses.